Just because its summer doesn’t mean the sweet treats need to stop for dessert or that it only means ice pops and ice cream cones. 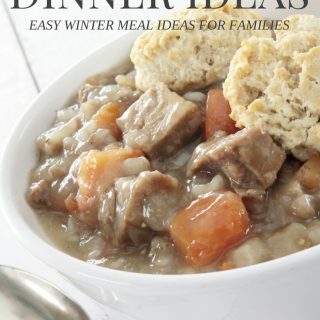 You also don’t have to heat up your oven or spend a lot of time making something your family will love. I love all the new flavors of graham crackers out there. One of my favorites is the chocolate ones. This recipe calls for them and they make the treat taste like a lower fat and sugar version of a traditional ice cream sandwich. 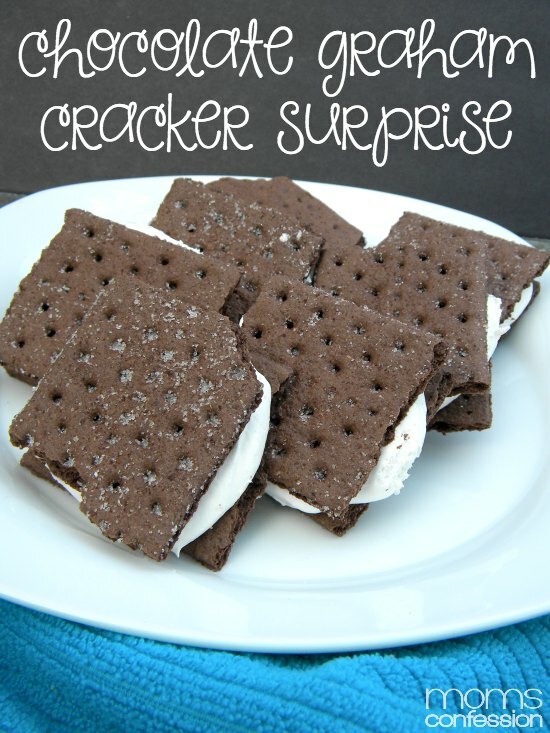 These Graham Cracker Surprise treats are perfect for a quick snack out of your freezer that you can make ahead and enjoy anytime. It is also a lot cheaper than buying prepackaged ice cream treats. So, if you have a few minutes, make these yummy treats for everyone to enjoy this summer! Place a dollop of cool whip on one side of graham cracker. Place the other half of the graham cracker on top of the cool whip. Lay each Graham Cracker Surprise on a cookie sheet until full. Remove from freezer and serve immediately or place in Ziploc baggies to store for future yumminess! 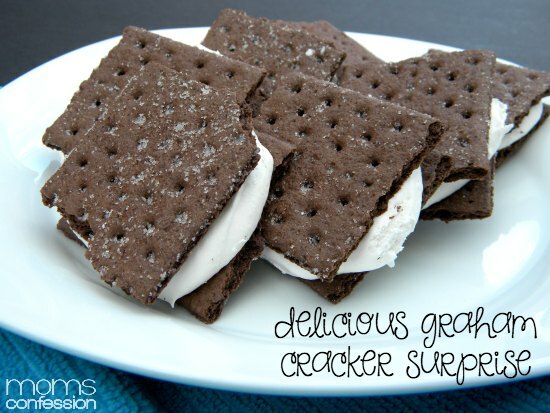 Get the Printable Chocolate Graham Cracker Surprise Recipe Below. Its summer and that means yummy desserts. Try this healthier spin on the traditional ice cream sandwich with this Chocolate Graham Cracker Surprise! !